Grab a bargain at the London Designer Outlet in Wembley, a unique shopping village which gives local residents and the 4 million visitors who come to see a sporting event another reason to visit this area of west London. 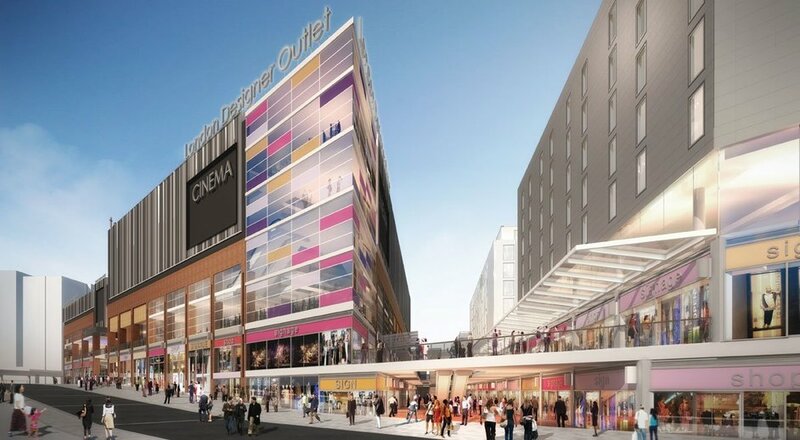 85 shops offering up to 70 per cent off the regular retail price, 15 restaurants and a Cineworld cinema occupy 350,000 square feet (roughly the size of four and a half football pitches) next to two of London's largest sporting and entertainment arenas - Wembley Stadium and Wembley Arena. Book into the Hilton London Wembley, opened in 2013, if you want to stay nearby. The shops - a mix of high street and brand names chosen in response to what local people wanted - all offer discounts of up to 70 per cent off current season and end-of-season lines, drawing shoppers into an area of London best known for its sporting and music venues. Sports shops including the Nike Factory Store, Adidas, Skechers and Asics line the walk up to the sports stadium while fashion brands L.K. Bennett, Superdry, Guess, Gap, Clarks and Marks & Spencer offer affordable bargains. What are the best dining options near London Designer Outlet London? London Designer Outlet gyms, sporting activities, health & beauty and fitness. The best pubs near London London Designer Outlet. London Designer Outlet clubs, bars, cabaret nights, casinos and interesting nightlife. Where to have your meeting, conference, exhibition, private dining or training course near London Designer Outlet. From cheap budget accommodation to luxury 5 star suites see our discounts for London Designer Outlet hotels, including Hilton London Wembley from 61% off.